A FREE, NO Obligation evening of Q &A discussing your Financial Future will be held at my office in Westlake Village. 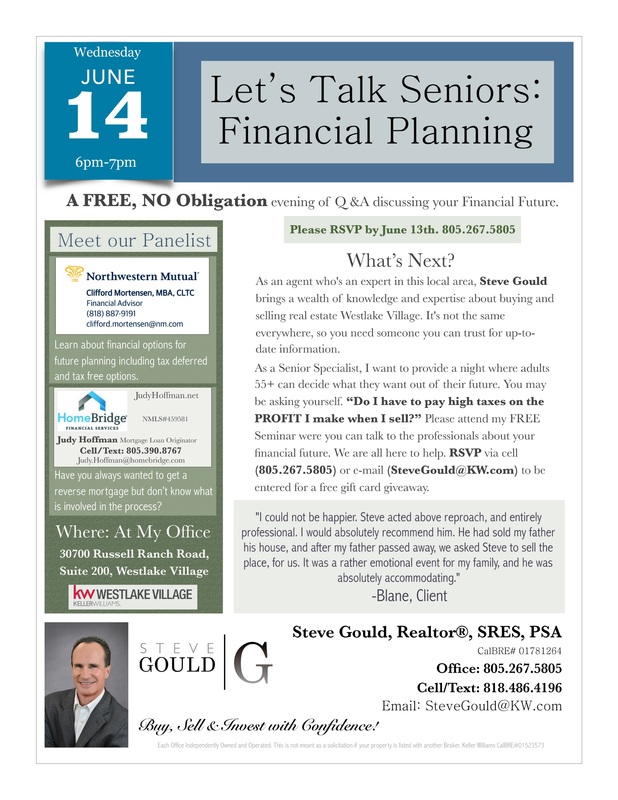 Come meet our panelist to discuss such topics as reverse mortgages to tax-free options. Please RSVP by June 13th, 805.267.5805 to be entered for a free gift card giveaway. Steve Gould brings a wealth of knowledge and expertise about buying and selling real estate in Westlake Village. He is a specialized SRES, "Boomer" agent. When: June 14th, 6 pm -7 pm.